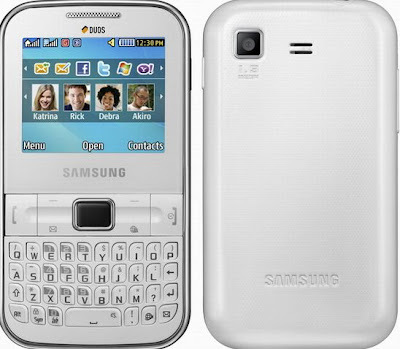 Samsung has plans to launch its new handset, dual SIM QWERTY bar phone Ch@t 322 in India. Although the phone will first be launched in Russia, the launch will follow in other countries soon. In an already overloaded Indian market where every other a day a new dual SIM phone is launched, this one is gonna be different. 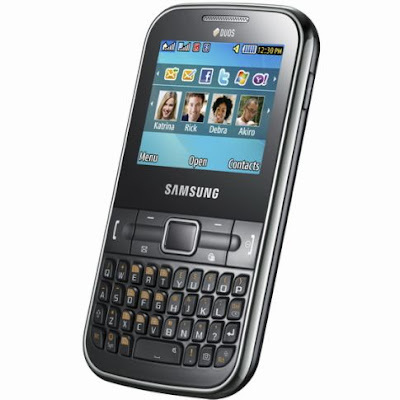 Samsung Ch@t 322 is a fascinating QWERTY bar phone with dual SIM capability. In fact, the Samsung Ch@t 322 is first of its kind device that will let its users flaunt two SIM cards and a 4-rows stylish QWERTY keyboard. Its UI, which is Duos UX user-interface, is also a great add-on. It will put forth users favourite applications, contacts and social networking widgets on the homescreen. Interestingly, there is an optical trackpad in the phone for ease of navigation. The push-email feature and Facebook and Twitter integration in the Ch@t 322 is one feature to envy. On the downside, the phone only has a 1.3MP photo-snapper in it. It is located on the rear and there is a universal 3.5mm audio jack on the top. On the side, a USB port is located. Rest of the specifications of Samsung Ch@t 322 is under wraps. In fact, its exact release date and price details are also not yet known. The Samsung Ch@t 322 phone is though expected to launch in coming November.